THE high court judge who chaired the Hyponatraemia Inquiry had to legally compel Department of Health lawyers to hand over documentation relating to fresh whistleblower allegations which allege that material may have been withheld from the inquiry. The Detail can reveal that Mr Justice John O’Hara had to issue a ‘statutory notice’ on January 23 to force lawyers from the Directorate of Legal Service to send him documents relating to the original complaint by the whistleblower. The Directorate of Legal Services (DLS) is the sole provider of legal services for the Health and Social Care Sector in Northern Ireland. The DLS had argued that releasing the documents would risk identifying the whistleblower as well as employees who participated in the investigation and therefore would breach its own whistleblowing policies. In a statement issued to The Detail today, the Health and Social Care Board (HSCB) said that under whistleblowing policy the whistleblower's identity should not be disclosed without consent unless required by law. The statement continued: "Furthermore, the HSCB was mindful of its duty of care to its staff, in particular the welfare and wellbeing of those staff who participated in the investigation process. "Therefore the HSCB expressed its concerns that providing supporting documentation would inevitably lead to the identification of the Whistleblower and other members of staff. "As a result, the Inquiry Chair on 23rd January issued a statutory notice (a requirement by law) and the HSCB then provided the requested documents.The HSCB will continue to co-operate fully with the Inquiry." The correspondence between the chairman and the DLS occurred in the lead up to the publication of Mr Justice O’Hara’s damning report on Wednesday, which was critical of a “self-regulating and unmonitored” health service. The report investigated the cases of five children who died in Northern Ireland hospitals between 1995 and 2003 - Raychel Ferguson (9), Claire Roberts (9), Adam Strain (4), Conor Mitchell (15) and Lucy Crawford (17 months). It concluded that four of the deaths were avoidable. The Belfast, Southern and Western health trusts said they "unreservedly apologise" to the five families. Hyponatraemia is a medical condition that occurs when there is a shortage of sodium in the bloodstream. Click here to read The Detail’s previous coverage of the inquiry for more information on each of the children’s cases. Last month The Detail revealed that the inquiry had been made aware of new allegations that material from the Western Health Trust may have been withheld from the inquiry. An internal probe by health authorities found no evidence to support the claims of any "deliberate attempt to remove evidence". 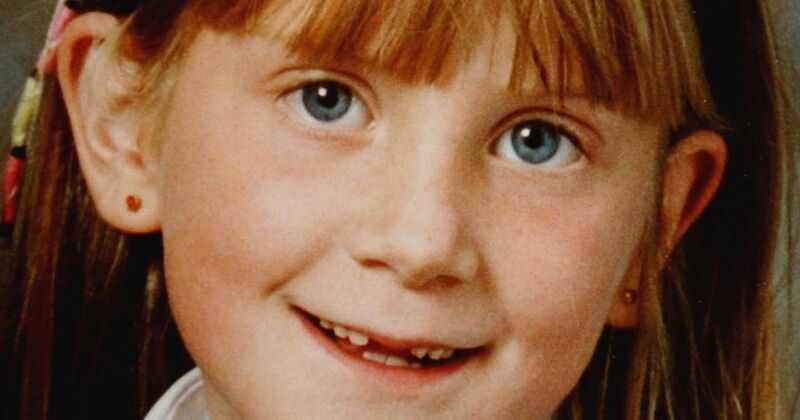 However in response the family of a nine-year-old Raychel Ferguson, whose death in Altnagelvin Hospital in 2001 was examined by the inquiry, called for an independent investigation by police into the allegations. Now new correspondence obtained by The Detail shows how in recent weeks the DLS had been unwilling to furnish the inquiry with all the documentation regarding the whistleblower allegations. In a letter sent to a DLS representative on January 18 2017, Mr Justice wrote said: “It will not have come as a surprise to you that there has been a significant reaction to the disclosure that a person who I will refer to as a whistleblower made allegations relevant to this inquiry. Mr Justice O’Hara added: “I am anxious that this matter is satisfactorily dealt with in advance of the publication of the Inquiry Report in less than two weeks. Mr O’Hara said he understood that the identity of the whistleblower would be revealed to the inquiry if the documents were forwarded to him. He concluded the letter stating that he could not guarantee that the documents would not subsequently be disclosed by the inquiry. In a response issued by the DLS on January 19th they provided a copy of the draft and final investigation report into the whistleblower allegations. However the inquiry chairman was not provided with the further documents he had requested which were gathered during the investigation, including the initial whistleblower complaint. In the letter a representative of the DLS said they had “very significant concerns” about the release of these documents into the public domain. The letter outlined further concerns that if the whistleblower or any interviewees who took part in the investigation were identified publicly by the inquiry it would “significantly undermine trust and confidence in whistleblowing procedures”. The letter concluded by stating: “However I wish to re-assure you that a robust and thorough investigation was carried out; that there was no ‘cover up’ as suggested by others. On the 23rd January the inquiry chairman used the powers given to him under the inquiry legislation and issued a statutory notice compelling the production of the outstanding whistleblower files. The files were sent to the chairman by the DLS the following day. On 30th January, the day before the inquiry’s report was published, Mr Justice O’Hara issued a public notice outlining that he would be conducting a further investigation into the whistleblower allegations. The Health and Social Care Board (HSCB) are responsible for Northern Ireland's health services and are accountabe to the Department of Health. On the 31st January, the same day that the inquiry report was published, the Health and Social Care Board released a statement addressing the chairman’s announcement of a further whistleblower investigation saying it would “co-operate fully with the Inquiry and provide whatever assistance is required”. Mr Justice O’Hara is expected to publish an addendum to his inquiry report that will address the whistleblower allegations. The HSCB asked that we run its statement issued to The Detail today in full. Click here to read it in full.